CBD products are one step closer to going mainstream in America, as Green Growth Brands Inc (OTC: GGBXF) and shoe retailer DSW Inc. (NYSE: DSW) announced an agreement Thursday to sell CBD products in shoe stores across the U.S.
Green Growth Brands and DSW agreed to sell products under the Seventh Sense Botanical Therapy brand in 96 U.S. DSW stores. The company will supply 54,960 units of hemp-derived CBD products, which include muscle balms, body lotions, body washes and foot creams. The move comes following a 10-week test period during which CBD products were sold in 10 stores. 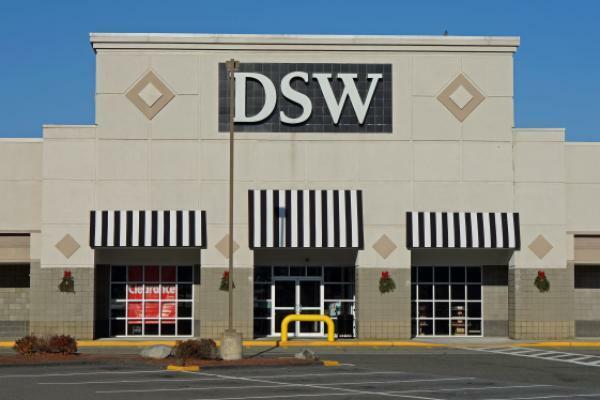 DSW sold 74.4 percent of the supplied units during the test phase, which greatly exceeded the retailer's expectations. The 2018 Farm Bill passed in December legalizes the cultivation of hemp and allows the sale of hemp-derived cannabidiol products across. It's expected that more CBD products will hit the shelves not only of specialty stores, but also large retailers such as Amazon.com, Inc. (NASDAQ: AMZN)-owned Whole Foods and Walmart Inc (NYSE: WMT). In this way, DSW is probably not the retailer that springs to mind when talking about CBD products. Yet it's one of the largest footwear retailers in the U.S.
Green Growth Brands' agreement with DSW is a big milestone not just for the company, but the overall segment. Green Growth Brands said it plans to further expand sales of personal care CBD products through partnerships and make the products available in mall kiosks, as well as other brick-and-mortar and online stores. The CBD company's stock was up 3.4 percent at $4.19 at the time of publication, while DSW shares were down 1.7 percent at $26.05.